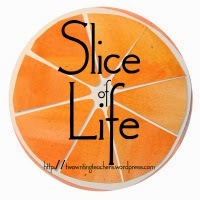 It's Tuesday, & time for the weekly Slice of Life at the Two Writing Teachers blog. Today I'm starting some poetry sharing, but this year I hope to share different things, poems, books of poetry, lessons I believe are good with students. My One Little Word this year is "wander", so I'll be "wandering" in the poetry world, & continuing to link with others, too. Today, I'm also linking with Carrie Gelson in a group formed because we thought we had too many books at home that were from last year and still haven't been read. You can find the group at Carrie's blog, There's A Book for That. 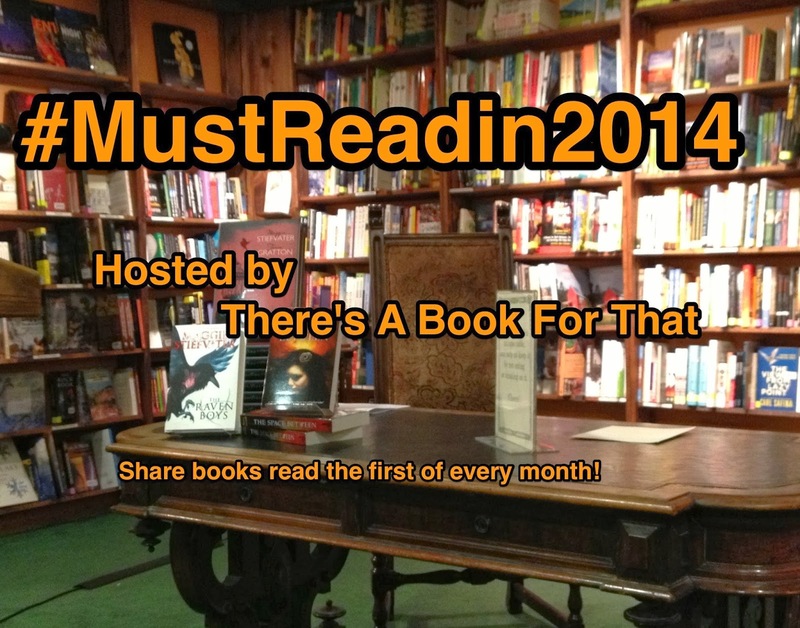 It's titled #MustReadIn2014, & this is our round-up for the first three months. You can access my goal list up at the top of this page. 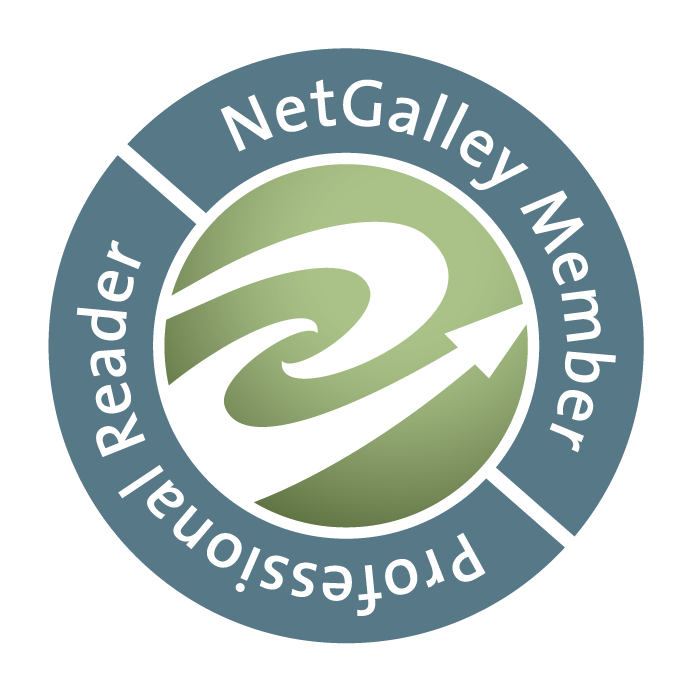 A large part of my life is reading, and I read a lot, so it's been a pleasure connecting to readers all over, and although my budget for books increases, so does my love of my library, which almost always has what I need. And for those who don't remember my big move in Dec. of 2012, I live a block from the library! Thus far, this year, I have read 107 books, and of those, nine have been read on my "Must Read In 2014" list. There are 26 books on the list, so 17 left to go! I think I'd better start to read more on the list! The biggest problem is new ones are coming out all the time & they look & sound good too! A fun dilemma, right? This book is wonderful for a variety of reasons: non-fiction connections, different structures, & Laura is preparing lots of teacher support for using the book with students. And for poetry month, here we go! Tomorrow I'll share the many links I know in the blogger world where others are doing amazing challenges in writing poems this month. 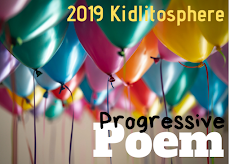 But today begins the Kitlitosphere Progressive Poem, created and hosted by Irene Latham at Live Your Poem. A poet writes a line and adds it each day, until we have a marvelous group poem at the end of the month. I'm writing on the 24th, and Tara Smith is ending the poem on the 30th! Be sure to visit to see how it's coming along! This is the third year! In April it’s the rage! Poetry Month IS like tap tapping on the stage! We're all up here together and inviting everyon to join in! Your little word will be a great one to follow along with this month. Happy Poetry Findings! Hi Amy, you're still up! Thanks for starting the month off by dropping by! I will adore wandering, will share a list tomorrow, & other times too! I love that Rump is one of your favourites so far. I have read that book 3 times. Once to myself and then to my children and just today I finished reading it to my class. What a great story! Rose Under Fire is on my list too but I am saving it for summer as I own it and I need to keep up with all of my library requests. Oh yes, I too have the problem that new and wonderful books keep popping up but I am so glad I have the #MustRead list to ground me - because I keep reading books am so glad I didn't miss! Yes, I did like Rump. I'll need to share it, Carrie, so others can use it for a read aloud with their classes. I'm so happy we started our "MustRead" too. Thanks, & have a good week back! Terrific, Michelle, there are so many wonderful supports out there-good luck! I'm reading Rump right now and am loving it! I get to meet the author this weekend, so very excited. I read The Invisible Boy a few weeks ago and I'm using it for 1st grade lessons this week. It's so powerful. I just got Water Can Be... thanks to your recommendation! And I love it. Can't wait to use it for a lesson! Looks like you've read some great books in 2014! I am excited to hear about someone using The Invisible Boy, & hope you'll share how it goes, Michele. And so great you like Rump, & Water Can Be! Thanks! I love your idea of wandering through the poetry world. There is SO much wonderful stuff going on, and having the freedom to share a poem, a book, a lesson, or whatever catches your attention sounds lovely! Thanks for the birthday wishes, and Happy Poetry Month! Thanks, and you're welcome, Laura. Wandering will make it a good learning month, I think! Hope your day is wonderful, & best wishes for lots of book love! My fifth graders LOVED Rump as a read aloud, and Skyping with Liesl Shurtliff was one of this year's highlights. I want to read The Nazi Hunters! I also loved Rose Under Fire. Love your poem. This is going to be another fun month of writing!! I think we enjoy lots of the same things, Holly, and yes, it will be fun! Thank you! Wow great list! Now I have to read Rump. Too many good reviews. Funny how the must read list leads to so much more reading outside the list. I had the problem too. I wasn't involved in this world last year - these cyber poetry events are ALL new to me thanks for keeping me informed! I'll be checking in. Great that you'll find Rump now, Julieanne. Liesl Shurtliff gave the character a whole new look in it. And glad you'll stop in for poetry too! Thanks Irene-it will be a delightful month. Now that you tell me, I remember you liking Rump, & it is exciting to finally have Water Can Be out! Have a terrific week. That first line from Charles opens up all sorts of possibilities! I love the tap tapping in the fourth dimensionality! Happy Poetry--not just this month, but always! Thank you Jane-fun to write, & fun to look forward to this fabulous month! I am still crossing off from must-read-2013 list. :) I don't have a list titled like that, more like a never-ending wish list, and often I add titles after reading your recommendations. Poetry - I'll watch form the sides, savoring the words of others. Yes, my list grows every day, Terje. And now I keep looking for all ages of students, & for the grand-girls. Guess it's not a bad thing, is it? Glad I'm adding to your list too! Thank you! I love the verve and excitement that your poem encapsulates about this month of poetry, Linda. I'm pertified about being the last one in the progressive poem...talk about pressure! Yes, indeed, pressure, but the poem's path will help you immensely. So glad you're along, too! Thanks Tara, & have a wonderful day! Oh, Michelle, it will be a delight! Thanks! Poetry is a passion and talent for you. I will be standing along the sidelines cheering for you. Happy poetry month! Thank you Elsie-nice to hear. Thanks Robyn, will try hard to keep that rhythm going. I was just coming over to read your post! Serendipity! While my It's Monday check-ins have really fallen off do to some health issues with kids here, I'm still reading! Great to see some of your 2014 favorites/must reads. Many are on my list, too. I liked Rump and I'm glad to see Nazi Hunters and Rose Under Fire on their, too, as I've got both on my list! Thanks Lorna, hope you'll get to them soon & enjoy them. Sorry for the health problems. I'll check your post! I love the riches of your connections Linda. You offer you and you open the door to what you've found to share with us. So fun, Bonnie, & thank you. I just came from reading your post! We must have felt the magnet! Happy April! Love the 4th dimensionality. Thanks, Margaret, this month will be good! I'm ready! So many good posts to read today! Thanks Mary Lee! I've done the same as you Linda - created a list of 26 must reads for this year - but I have only read a few - too many other books to read! Those books look good - will add them to my list. The progressive poem sounds like fun! Well, you see the dilemma, Beverley, older books not read, new ones coming out... Hope you find a way to get them all read! 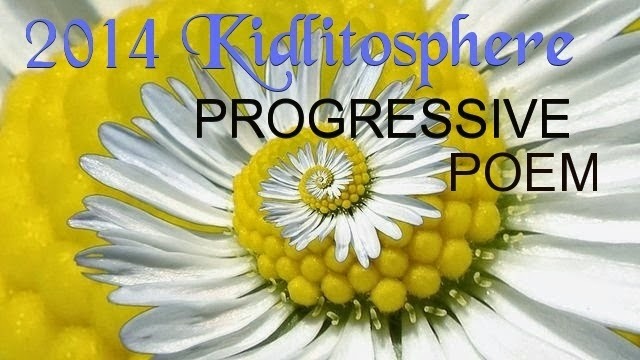 Yes, the progressive poem is a delightful adventure, wondering what's going to be next! Thanks! I am so excited for Water Can Be. Thanks for sharing your list. My Water Can Be arrived today. It is beautiful! Thanks, Crystal! Linda your poem is just so energetic. I loved it. Thank you for sharing. Linda, I love "the fourth dimensionality!" It's amazing to hear that you've read 107 books this year. You are incredible! Remember, lots are picture books, too, Susan. Thanks for the compliment! Linda, you amaze me! How you managed to read all those books, write, comment on blogs, teach, weave...do you ever sleep? I LOVE your poem, it's so clever! I'm looking forward to reading your poems this month. Thanks Catherine, I think the answer is I don't need much sleep, & I work fast! Looking forward to April seeing what you're doing too! Can't contain my jealousy - one block from the library! There are those words you told me last summer - I write fast. I try, but don't think I could ever keep up with you. Can't wait to see more poetry this month from you. Thanks Ramona, I'm winding down now, happy to hear from you. I haven't seen your posting yet! 17/31 It's Monday - Happy St. Patrick's Day! 13/31 - Hurrah,It's A Palindrome! Weaving Update - A Bit of An Argh-h! 8/31 - Celebrate the Week! 7/31 Slice and Poetry Friday, too! 3 of 31 Slicing Plus It's Monday!